Join us for an online webinar Thursday, December 8 at 2 p.m. as Jacob Burris walks participants through Agile design. What does it mean to go Agile? How is Agile like SAM? Are they the same thing? This webinar will discuss the benefits and pitfalls of managing instructional design projects with Agility. We’ll discuss the language of Agile as well as common obstacles and objections that arise when teams move to an Agile process. Defining and refining Agile for the team, finding the right project management tool, working in sprints and scrums, and balancing Agile and SAM methodologies will be the focus of the discussion. Jacob Burris is currently the President of ATD- MAC and Director of Services Development at Renaissance. 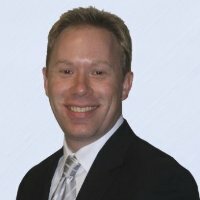 Jacob has 15 years of training and instructional design experience and has led teams through change and process management implementations.